It’s no question that every Australian loves the gym! After all, it is where all your fitness and weight loss goals can be accomplished. Some of the most modern fitness centres are huge attractions, thanks to the level of technology they boast. It is no secret that every one of us want to achieve our fitness objectives inside a modern gym centre. Group exercise classes, the availability of high-end equipment, safe and comfortable workout environment as well as the presence of fitness professionals are all important reasons why you would always want to train at the gym. What’s more, some gym centres offer more than just a place to exercise. They have juice bars, basketball or squash courts, cafes, swimming pools as well as beauty therapy and massage services. Simply put, you have every reason to be at the gym. Unfortunately, despite all the potential benefits offered by our fitness centres, research has proven that gyms can be a source of all types of germs. If you are a fitness enthusiast, then the chances are high that you must have heard or read about this. To spice things up, it’s not just the workout bikes and treadmills, dumbbells, barbells but nearly everything inside the gym. Surely, you should not be surprised by this. 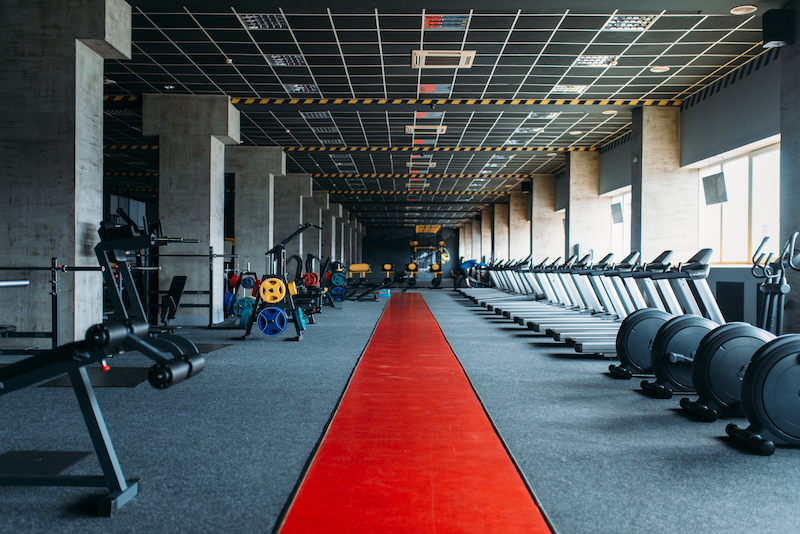 With sweaty and dirty members swapping training equipment and machines, gyms can be a prime breeding ground for viruses, bacteria, fungi and all sorts of germs. In fact, according to a particular study, researchers established that there can be as many as twenty-five different types of bacteria lurking in fitness gyms. Toilet handles, elliptical machines to leg presses as well as stretching mats are all filled with germs. It is imperative to note that we are not trying to discourage our readers against enjoying the benefits of training at the gym. Rather, we want to help you become more cautious even as you train. Knowing the dangers that lurk out there can potentially help you avoid them. Just keep up with your fitness resolutions, but follow some simple and effective safety tips. What types of germs, bacteria and viruses are present in our gyms? Escherichia coli is a type of good bacteria that live inside the digestive system of human beings. However, certain strains can potentially cause intestinal infections, and they are the ones you need to watch out for. Its infection can result in lots of undesirable symptoms, ranging from nausea, diarrhoea, vomiting, fatigue, cramps and high fever. What’s more, the bacteria is notorious for causing urinary tract infections among women. This particular bacteria is spread through contaminated water and food, implying that any edible item, as well as water bottles, can harbour it. Gym toilets and saunas are real hot spots, as are gym members who don’t clean their hands properly after using the toilets. This is a highly contagious virus characterised by a runny nose, high fever, muscle pains and sore throats. An infected member at the gym can easily release the virus through coughs and sneezing. Equally, contaminated equipment can readily transmit the virus to other users. This is a yeast-like fungus which resides in your nose, skin and stomach. The overgrowth of this peaceful colony can result in infections, which in turn, may cause jock itch, athlete’s foot and skin problems. Anything which is moist and warm supports its growth and it can be commonly found in locker rooms, sauna and toilets. This bacteria was previously most common in hospitals but has currently found its way inside the gyms. It causes respiratory tract and skin infections. One of its strains can be resistant to lots of antibiotics and may demand a more rigorous plan of treatment. Inside the gym, the barbells, gym towels, treadmill handrails and dumbbells are all hotspots for infection. This type of bacteria usually thrives in human stool and intestines. It can cause a broad range of infections including pneumonia and urinary tract infections. Workout mats, surface-cardio machines and locker rooms are all possible breeding agents. How can you keep these germs, bacteria and viruses at bay? Always wipe down the equipment – Gyms often provide surface clears and wipes, so you should use them. Before you touch or use any equipment, wipe it appropriately. Wear thongs inside the shower – In such a damp environment, there are many germs that cause plantar warts or tinea. Thongs will help protect you against any potential infection. Wash your hands thoroughly – Of course, this is common sense. After your gym sessions, wash your hands using a disinfectant before you touch or eat any food. Don’t touch your face while training – It might be tough to resist the urge to touch your face. However, if you are conscious about your health, never touch your face while training because you’ll likely transfer germs from this equipment to your face. Clearly, there are lots of benefits of training inside the gym. Equally, there are lots of germs and bacteria that lurk inside the gym as well. If you are seeking for a gym commercial cleaning service, Evolve Cleaning can offer some help. We have over three decades of industry experience and capable of cleaning any surface. Contact us on (02) 8313 7035 for more information on how we can transform your gym into a clean and tidy one.